Ever wonder why Adobe Reader takes so long to open? It seems like the software is loading everything possible on startup even when you are not opening any PDF files. I was very happy to find a software that is a self contain executable file that opens PDF files within a flash. It makes Adobe Reader look like a web page trying to open a 10MB file over a dialup connection. This time saving software is Foxit Reader. And as you may have guessed from reading my other blog entries, it’s free. If you are unfamiliar with setting up an executable file, then download the Installer file rather than the Zip Package. Enjoy! Here’s a gadget for you if you have a laptop and hate to carry around a mouse or use the touch “insensitive” pad on the laptop. This extremely slim mouse actually fits within a Laptop’s PC Card slot. The mouse gets charged while in this slot. Of course, it will only charge when the mouse is in the slot and the Laptop is powered on. The utility may not be pretty but it gets the job done. It shows a tree view on top and a graphical display on the bottom. Each file is represented as a rectangle with its size proportional to the size of the file. Clicking on the file shows the what file it is and its file size. This way, I can determine if I should delete the file or not. On top of that, it is a free utility. 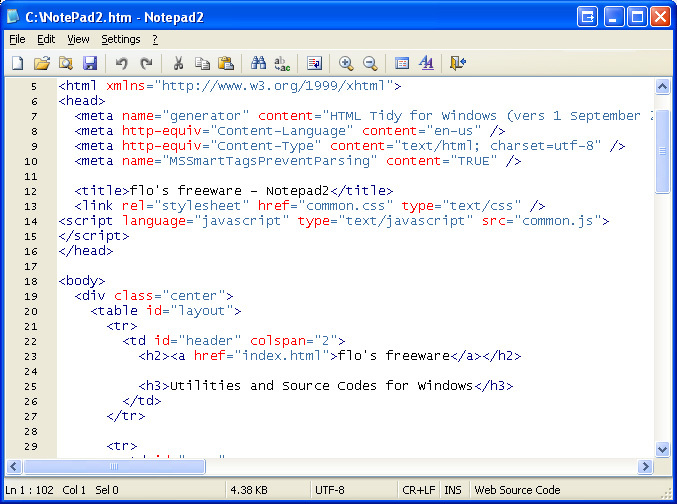 You can find this utility on SourceForge.net. See image and link below. Ok, suppose you are out by your pool or just sitting in your patio and it happens to be crucial that you keep your drink cool. 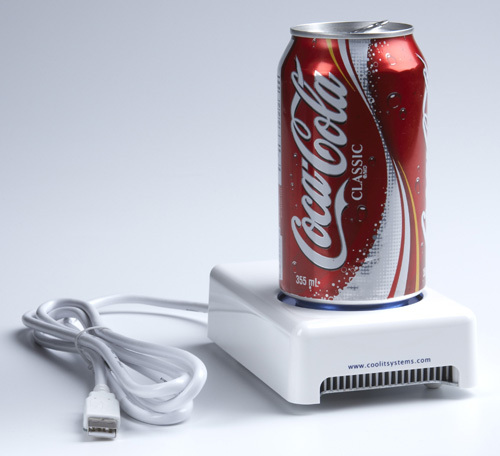 Now comes the USB Drink Cooler to the rescue. No more worries about your drink turning warm with this nifty gadget assuming you have a laptop with you that is. Just plug this baby in the USB slot and off you go. Well, not that you can go anywhere with a drink attached to your laptop but it’s the price you have to pay to be ahead in technology. What is a Social Atlas Site? 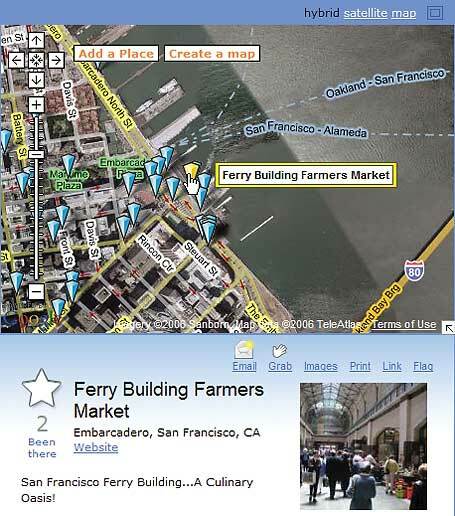 Think of it as a place where you can map points of interests for you to either keep or share with others. It is a very interesting concepts and might be considered a new emerging media. There are several sites that offer you this service and all are currently free others may charge in the future. Of these, I have tried Platial and Wayfaring. Both of these are pretty good my opinion. Platial user interface for uploading pictures and associating it with the point of interest is a little more intuitive. Wayfaring, however, allows upload of video. I will have to play with both of these sites a little more before deciding which one to use. Update 09/13/2006: Well it was pointed out to me from Deisnor of Platial.com that their system does allow video. All you need to do is embed the video into the Description section of the place you are adding. Thank you Deisnor for your information. I use NotePad a whole lot. For viewing web page sources or as a temporary repository to store misc information. However, NotePad sometimes just doesn’t seem enough. Well, stepping up to the plate is NotePad2. It is just another NotePad replacement like many others such as TextPad or UltraEdit. But it won me over for 3 very important reasons. First, it is small and simple yet robust enough to support syntax highlighting. It also have nice features like zooming in and out to see the text more clearly and it also supports search using regular expression. Second, it doesn’t require an installation. You just place the executable file where convenient and double click on it to run the program. Third and most important, it is free. As I research more into the technology for podcasting, I realized it is not as easy as I thought. It requires quite a bit of preparation just like everything in the entertainment industry. Sure, you can just pic up a mic and start talking but without preparing you would not sound professional or structured. So I started looking around for tools that would help with podcasting. 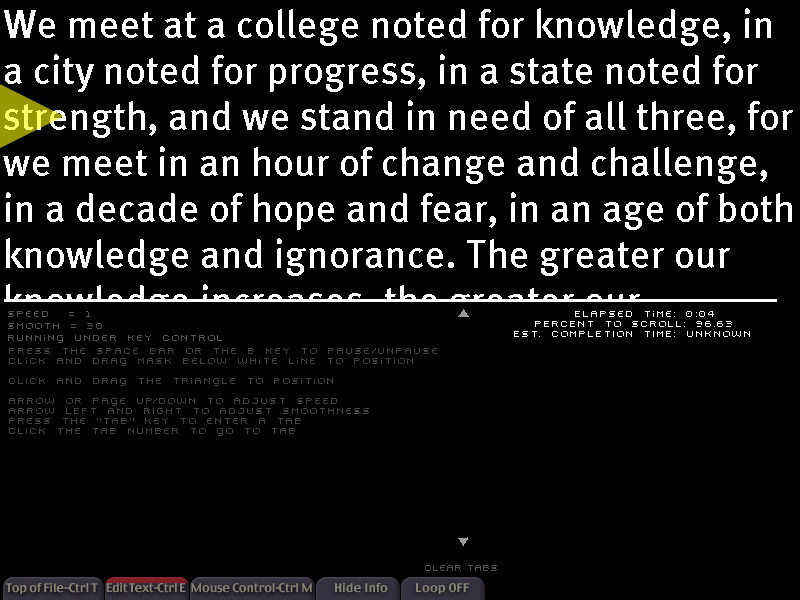 I found a simple small program that prompts the user much like a teleprompter. It is called Prompt!. Go to the following link to download Prompt! iCarta iPod Dock/Toilet Paper Holder. I’m not sure what to say about this. But I think the iPod accessories have finally gone over the edge. See picture. I rest my case. This was just brought to my attention. There seems to be anther application very similar to that of Frets On Fire. I personally have not tried this one out yet but it is interesting especially if you like Frets On Fire. Follow link below for more information.